On this day in 1974 the Northrop YF-17 had its maiden flight. The YF-17 “Cobra”, as it was nicknamed, was a prototype lightweight fighter designed for the US Air Force’s Lightweight Fighter technology evaluation program. This program was initiated because many people in the fighter community thought that aircraft like the F-15 Eagle were too large and expensive for many combat roles. 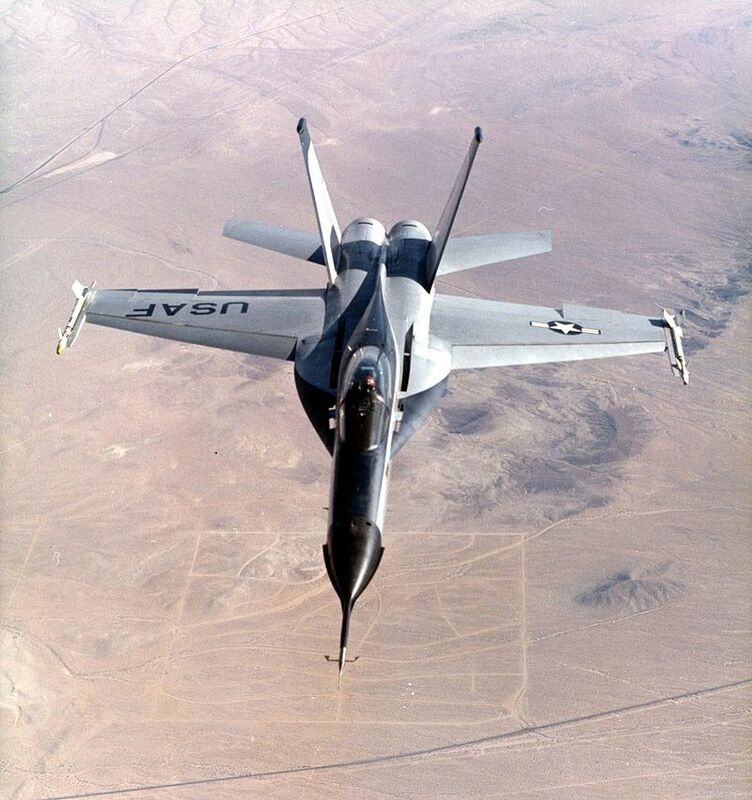 Even though the YF-17 lost the Lightweight Fighter competition to the F-16 Fighting Falcon, The YF-17 was chosen for the new Naval Fighter Attack Experimental program and, after some design modifications, it entered service with the US Navy as the F/a-18 Hornet. The two YF-17 prototypes are on display, one at the Western Museum Of Flight in Torrance, California, and the other at Battleship Memorial Park in Mobile, Alabama.